For all you figure collectors and miniature painters who have been waiting so patiently, the Testor Corporation has just announced the release the first set of figures based on the characters in A Song of Ice and Fire – The Ruby Ford, designed and sculpted by the legendary Tom Meier. 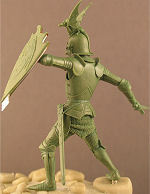 Cast in pewter in 54mm scale (the traditional “toy soldier” scale, equal to about 1/35), the Ruby Ford dramatizes the final and fatal confrontation between Robert Baratheon, Lord of Storm’s End, and Rhaegar Targaryen, Prince of Dragonstone, during the Battle of the Trident. For a look, go here. Testor’s is offering this initial set as either a unassembled kit (for modelers and painters) or as a finished, unpainted pewter display piece (for collectors of Rawcliffe figures and similar “gift shop” miniatures). Both versions will be limited production with combined total of 1,500 castings sold world-wide. Each set will be numbered and will include a certificate of authenticity. The Ruby Ford is on sale now, and can be ordered directly off the Testor’s website. Each set will be made to order right here in the US. The figures will ship in 4-6 weeks. 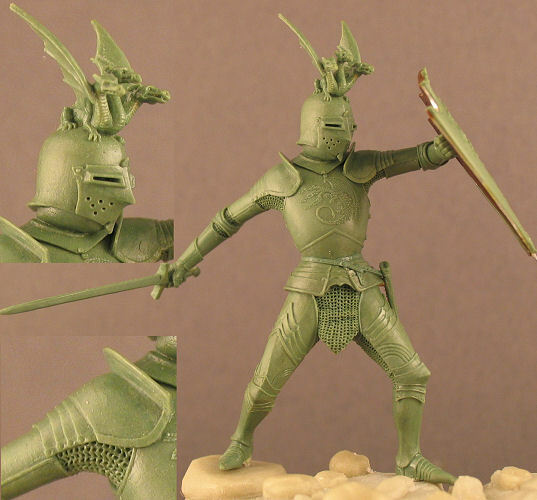 The larger 1/18 scale painted resin miniatures that Testor’s has been working on are still in the works, and should be released later this year, along with more of Tom Meier’s wonderful 54mm figures, and (eventually) a miniatures game and a range of smaller Night’s Watch and wildling figures. Watch this page for details of future releases.